Available as a freebie today only, the innovative word game is winning all kinds of awards. 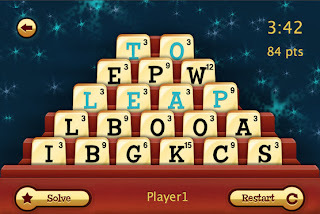 There are a ton of word games out there in App land, but Dabble looks like a winner. Not only has the App won some of the most prestigious awards in the game, but it's genuinely fun and just feels like one of those games that tends to stay on your iDevice for a long time. ‘DABBLE’ is the kind of game that is as simple as it ischallenging. 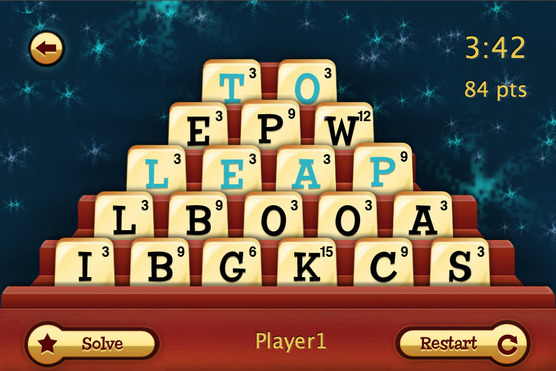 It rewards players with quick wits, a large vocabulary, andperfect spelling, but you have to be on your toes, since the goal of the gameis to spell out five separate words with just 20 letters as quickly aspossible. The trick is that thefive words must be comprised of a two-letter, three-letter, four-letter,five-letter, and six-letter word. If you'd like to nab a copy of the game for yourself (for free today only), head on over to the App store. Appropriate links? Sure, all you had to do was ask.